For almost 20 years, I’ve been investigating a question I first wrote down in an Honors class: How does the way we think affect what we come to know? In pursuit of answers, I’ve studied and practiced computer engineering, philosophy of science and technology, complexity theory, service-learning, computer simulations of nuclear fission, 3D printed historical artifacts, the design of blind tennis balls, the regulation of search engine algorithms, techniques of the self, critical making, and learning design. My latest initiative has been to create a physical space for exploring different modes of thinking and the ways they come together. The Collaborative Experiential Learning Laboratory (CELL) supports creative, interdisciplinary work that is both playful and profound. 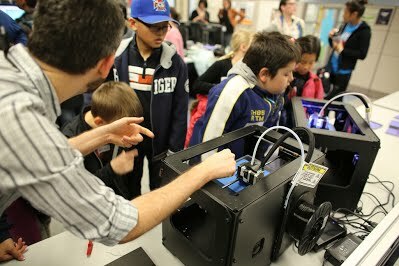 It is equipped with a 3D printer and board games, Virtual Reality and glue sticks. The construction of the CELL reflects its identity: it was designed by students from a variety of disciplinary backgrounds who were given a broad mandate and supported with appropriate tools. My students interviewed hundreds of stakeholders, visited dozens of sites where learning happens, and researched an impressively broad literature about learning design and related topics. They chose the equipment and drafted the policies for the CELL. I’m proud of the work they did, and happy to share it with you. I do not know what we will find in the CELL, but I am excited to continue my search for answers. "The artefacts that come down to us from the past are more than keepsakes; they are material documents of past people and communities. They can, if we consider them carefully, give us new ways of understanding the past and new approaches to familiar stories. The history of public health, a vast topic touching many aspects of society and culture, can be appreciated through the variety of objects that survive. 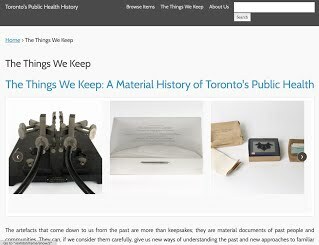 "This exhibit explores the many facets of Toronto’s public health history through a diverse collection of objects. It also celebrates the community of historians, curators, health workers, and others, who safeguard these objects and explore their historical meaning." "Most students aren’t aware of this, but within its Mordorian ramparts, Robarts contains a high-tech laboratory staffed primarily by excitable PhD students and postdoctoral fellows. "I follow the signs up to the seventh floor, where I’m directed to the Semaphore Research Cluster on Mobile and Pervasive Computing, which sounds sinister enough. 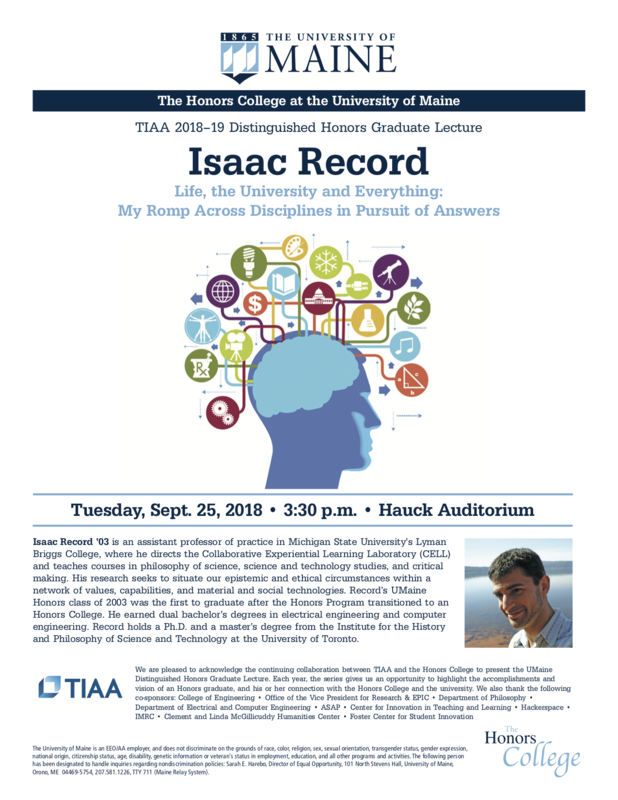 Despite the lab’s ominous moniker, however, Dr. Isaac Record, an engineer and philosopher who works in the emerging discipline of Critical Making, gives a warm greeting. He’s tasked with determining how the future will unify its many disparate technologies, and what problems individual users will use these technologies to solve. 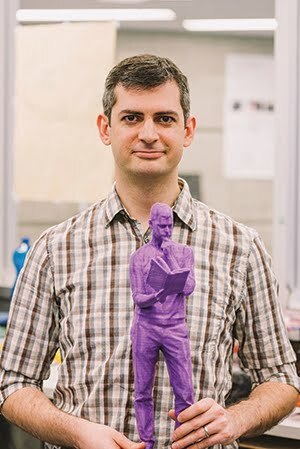 "Record leads me into the “fishbowl,” a glass-walled room containing three large additive printers — one of them suspiciously named Hal—and other machines that complement the lab’s “Making” ability. Their setup is simple and efficient: brainstorm at one table with paper and markers, digitize and model the ideas at the next table on computers, and then send the information to one of the printers." 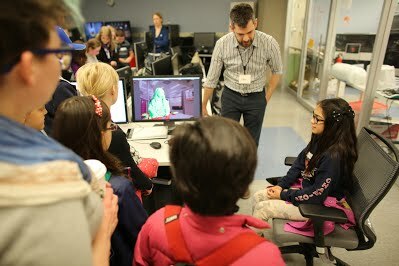 Semaphore Lab is a favorite stop on the Bring Your Kids to Work Day tour. 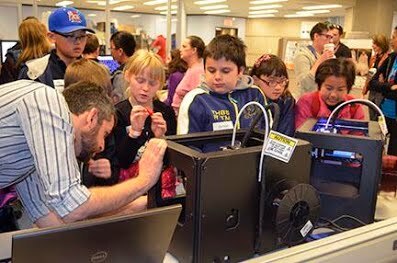 Kids had a chance to watch 3D printers in action, scan one another with a 3D scanner, use Makey-Makeys to control Pac Man and Flappy Bird, and see just how fun it can be to research emerging technologies. We have published a paper reflecting on our ongoing series of DIY Prosthetics Workshops, which are intended to engage the public in critical discourse about technology and human augmentation through engagement with prosthetics. The goal of these workshops is to enhance understanding of prosthetic technologies through both conceptual and material exploration. We describe our efforts to capture the makings of our workshop in an open, modifiable “kit” comprising “three Ps:” prompts for reflection, parts for construction, and publics for participation. 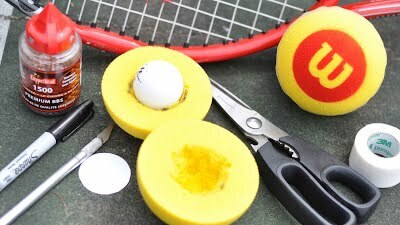 Blind tennis We describe our efforts to help blind tennis players build a better ball. We hosted a one-day prototyping workshop modeled on participatory and inclusive design ideals. We observed that the blind user-designers were full participants in the design discussion and testing phases, but were less able to take part in the construction of the prototypes. That is, our workshop revealed that participatory design works only when all of the tools are accessible to all of the user-designers. This prompted us to create an experimental circuit design workflow that accommodates blind prototypers through the inclusion of 3D printed circuit layout masks and a talking multimeter. This work constitutes a shift from an exercise in the participatory design method to a more encompassing effort to create tools that allow the process of design itself to be more inclusive. Soon after Cody Wilson released his plans for the Liberator 3D printable gun, our Critical Making Laboratory undertook to produce a non-functioning version of the gun in order to assess the technical, material, and economic challenges associated with 3D printing proscribed objects. See news coverage in the Globe and Mail, Toronto Star, and the Agenda with Steve Paikin (video). Segment on the development of the first practical working electron microscope at the University of Toronto. Aired in 2012 on History Television.